When SciFiEmpire.net first started in 2011 one of the first articles I wrote was on a game entitled Adrift – by Dontnod entertainment. The game studio was totally unknown to anyone, but what caught my eye was that they were French and were producing a Science Fiction action game. Adrift was only a production title and it would later in become known as Remember Me. Sadly, despite the impressive artwork and graphics the game suffered from a linear gameplay style and could not live up to expectations. 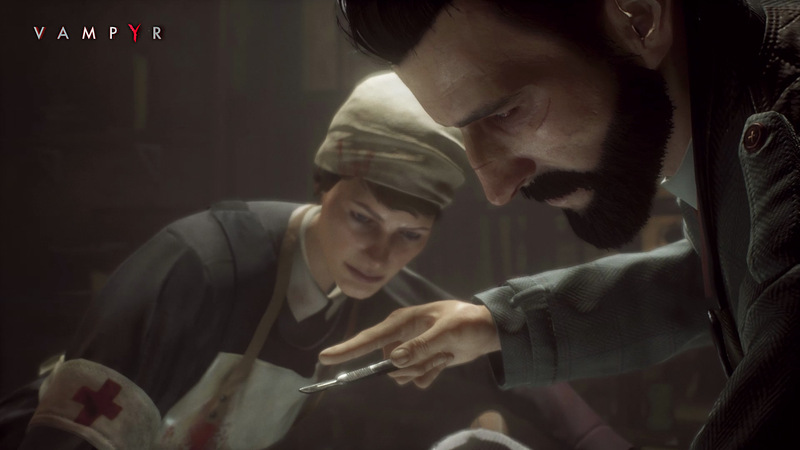 Instead, Dontnod Entertainment continues to exist and is soon scheduled to release Vampyr – an open-world action RPG set in 1918s London. Dontnod has gone to great lengths to recreate a version of London that is authentic, Gothic and creepy. The game is set in historical areas such as White Chapel (home of Jack the Ripper), Isle of Dogs and the London Docks. The results is a game that has won me over for its atmosphere. So what is Vampyr all about? You play as Doctor Jonathan Reid – and you are a vampire. Already the player is confronted by a moral choice. You can easily kill people for their blood, which gives you vampire powers. Or, you can keep to your Hippocratic oath. The fact that there are a finite number of people, and consequences to the story, means that killing is not always the best solution. To add to the conundrum is the fact that killing people is best done in privacy. But Reid will need to be invited into a person’s home to be let in. As such the player needs to unravel all they can about a potential victim, and those characters important to the story. So Vampyr also has strong narrative driven events. The way the game is played will in the end unlock one of four different endings. 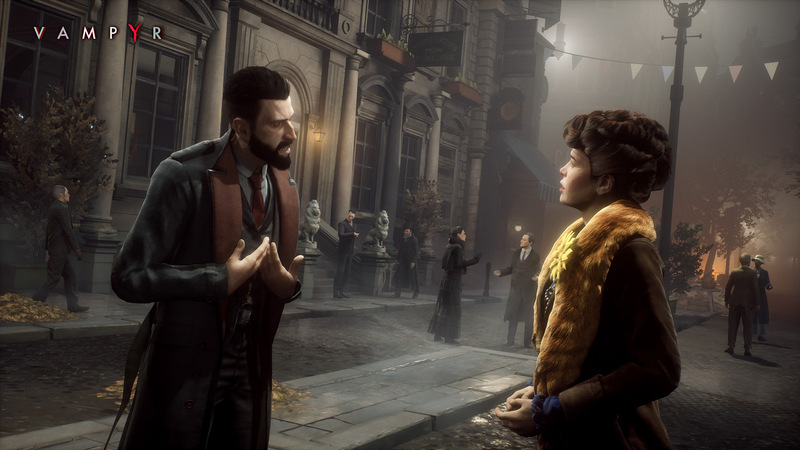 Vampyr reminds me somewhat of the Sherlock Holmes adventure games by Frogwares. I suppose it is the setting. Turn of the century London has always had a certain pull. Though as it is 1918 the setting is slightly more modern. 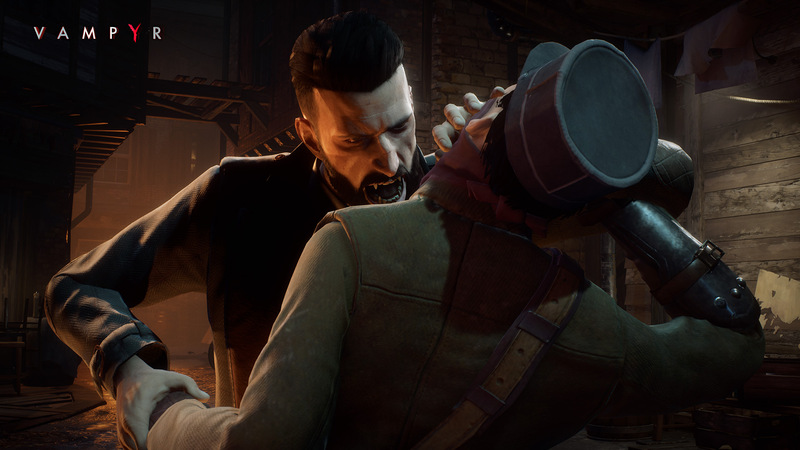 The consequences of The Great War, rise of communism and democracy means Vampyr is in the backdrop of a changing world. Vampyr also has a skill tree. Through feasting on victims Reid can attain new skills, weapons and combat moves. But medicine will also play an important role. People cured of the Spanish Flu or a vampire related illness can be used to further Reid’s skill set. I mentioned in the intro that Vampyr is an open-world, but not in the way you know from GTA 5 or recent Ubisoft games. Vampyr has areas, which can be freely explored, but there is a progression system. Also, areas will suffer the consequences from vampirism and rampant disease should you as the antagonist make the wrong decision. 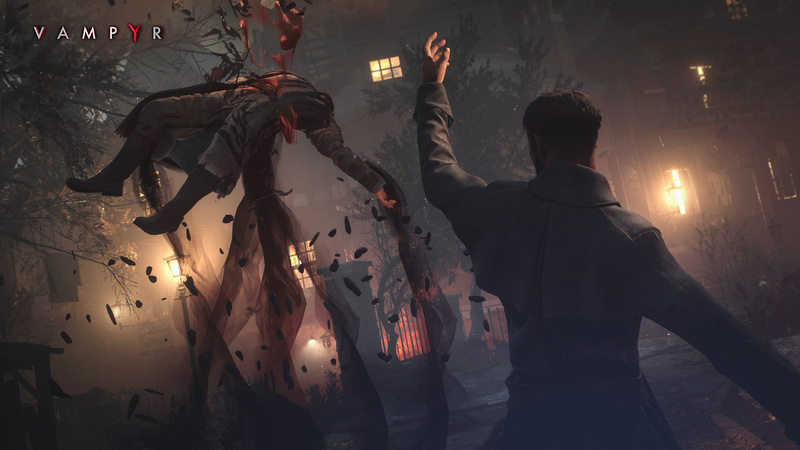 Vampyr thus focuses on a smaller open-world, but with deeper levels of player choice. If you are still unconvinced about Vampyr, then watch the gameplay video below. It was taken a few days ago from a stream with the developers. It show most of what I described above. Currently Vampyr is set for a June 5th release. Pre-orders on Steam go for 44.95 Euros. It will be available on PC, PS4 and Xbox One. Those that pre-order will gain a bonus downloadable content which includes a sword, a pistol and an extra outfit.